The ocean is full of amazing creatures we know little about. 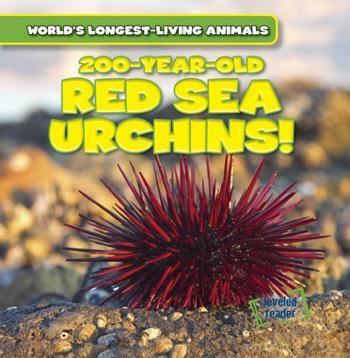 Red sea urchins are one of those creatures. Previously thought to only live a few decades, scientists now think they can live up to 200 years! Through colorful photographs showing these bright creatures living in their shallow ocean habitats, readers learn exactly how these animals sustain long lives in the water. They also discover how scientists used atomic bomb testing research to decide these animals can live well over a century.